If you don't smoke, your car's ashtray is probably either unused or, if you're like me, full of loose change. And if your car is older, unless you've installed one, it probably doesn't have a place for you to plug in your phone. 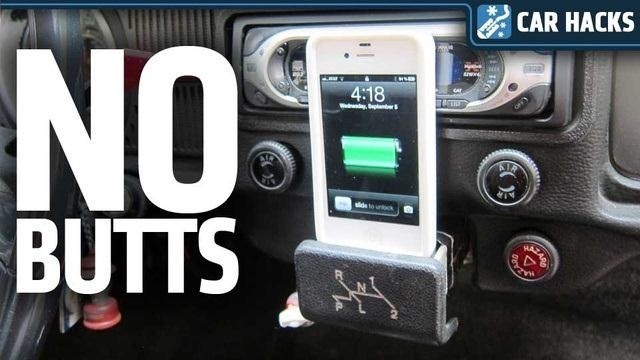 This quick hack by Jalopnik's Jason Torchinsky will solve both of those problems by turning your ashtray into a simple DIY smartphone dock that will charge your phone and let you play music through your car's speakers. 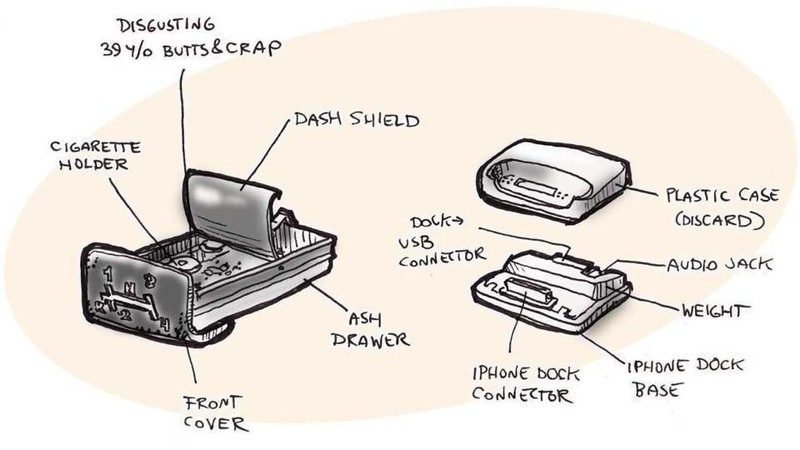 After removing and cleaning the ashtray, Jason took out the dash shield and cigarette holder, leaving an empty little drawer for the dock to sit in. Next, he figured out a place where he could drill holes for the wires to exit without having to put holes in the car's dash. After removing the plastic case around the dock, he mounted it in the ashtray using high-density foam and Velcro. 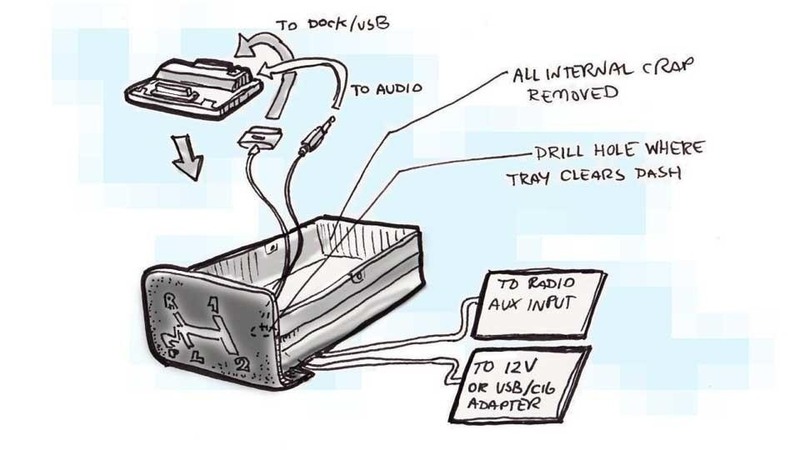 Once the dock was mounted, all that was left to do was feed the cables through the holes and plug everything in. Jason had already put a 12-volt plug in his car, but if yours is older and doesn't have a socket to power your phone, you'll need to install one if you want it to charge while you drive. If you want to try it yourself, check out Jason's tutorial for more details.